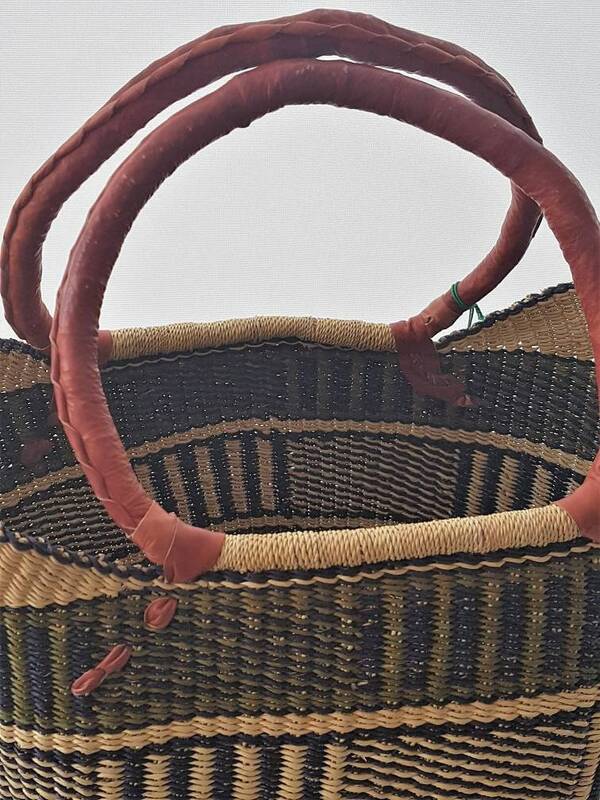 Elephant grass handwoven basket bag (50 cm x 37-39 cm x 20-23cm). Aprox measures in inches: (20'' x 15'' x 8''). Short handles in leather, around 20 or 22 cm long (8''). 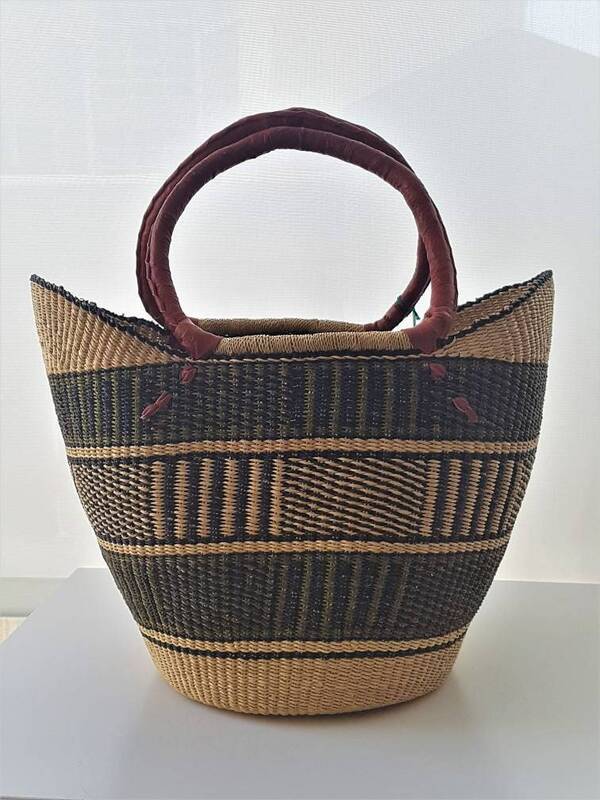 Handcrafted by local artisans in Bolgatanga, Ghana, with traditional techniques. We support artisans and fair trade. Eco, natural, not vegan as the handles are made of leather. 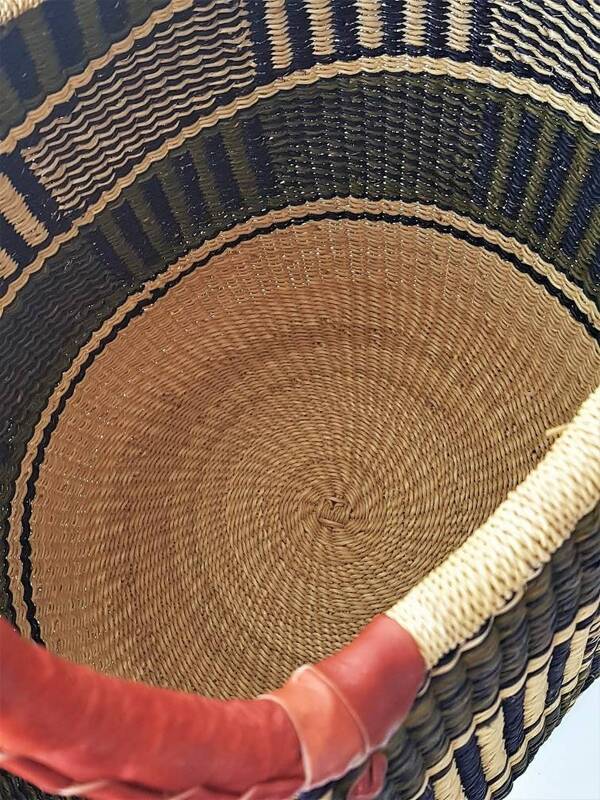 Each of our Bolga baskets is different, so you are buying an exclusive product. 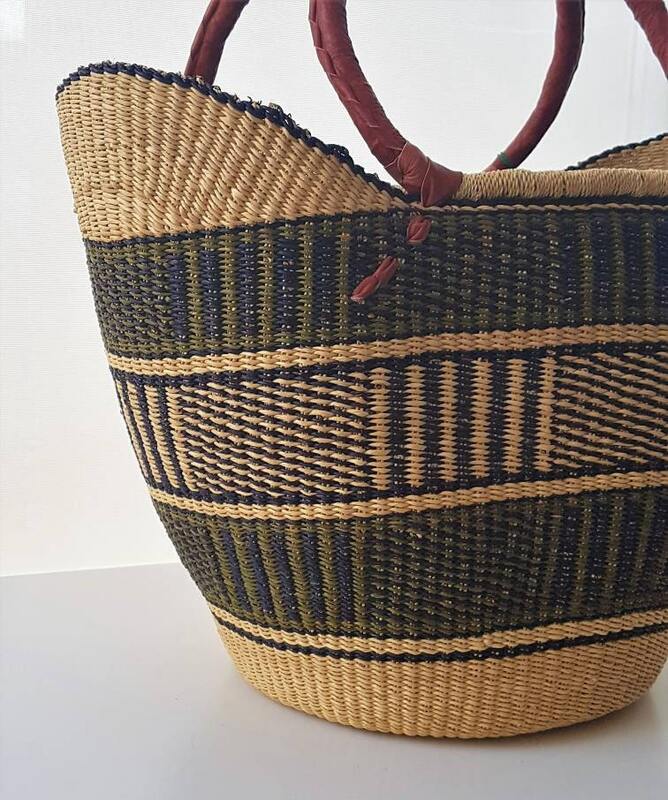 Hope you love this african craft as much as we do!